You may click here to access the most up-to-date pictorial directory for Lutheran Church of the Holy Spirit. If you are a member at LCHS and don't have the password to access the directory, please call the church office at 303-794-3451. Alternatively, you can access the Pictorial Directory at the Instant Church Directory Website by using your email address. You may only access the directory if you are an active member and have your email address listed. Simply click here to sign-up and to create your own user name and password to log in and view the directory. You are granted access by confirming via your email address. 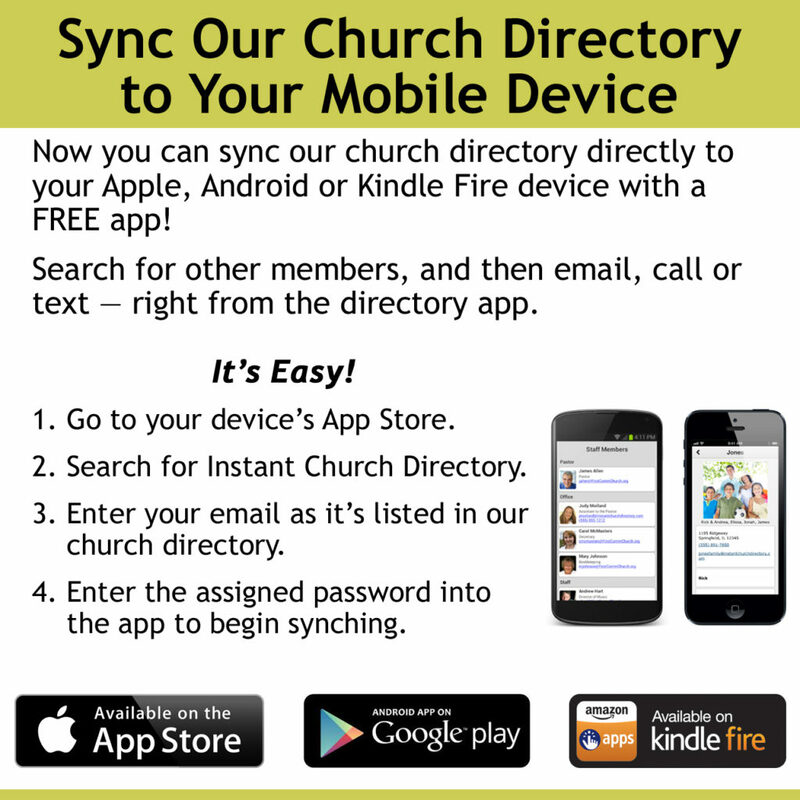 The Church Directory App is a very convenient way to access member information on your handheld devices. Visit instantchurchdirectory.com/app/ to learn more.